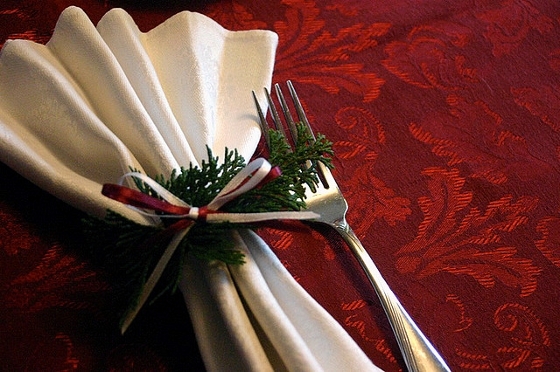 Do you love holiday entertaining but not the hours of preparation? We’ve compiled a list of high-end eating establishments that will satisfy your taste buds and keep you out of the kitchen! For $375, 8-10 people can enjoy a roasted Fraser Valley Tom turkey with sage and sausage stuffing, roasted root vegetables and brussels sprouts, Yukon Gold mashed potatoes, cranberry Triple Sec relish, giblet gravy, traditional mincemeat tart, artisan bread rolls, and creamery butter. Orders are for Christmas Eve and Christmas Day only. Pick-up is between 10am-3pm. Their $375 meal serves 8-12 people with an 18-pound roasted turkey, apple sage stuffing, mashed potatoes, seasonal veggies, cranberry sauce, gravy, dinner rolls, and cranberry cheesecake to top it all off. The deadline for ordering is Dec. 21st as they are limited in numbers. The Sutton Place is already sold out for Christmas Day, but you can still order for Christmas Eve and Boxing Day. Pick-up is between 11:30am-7pm. Enjoy an 18-20 person meal for $279 that includes a 22-pound turkey with stuffing, mashed potato, yam and veggie medley, and in-house cranberry sauce and gravy. The deli recommends ordering by the 11th to ensure your reservation. You have the option of pick-up or delivery, hot or cold, and anytime before Christmas. Big Lou’s only offers a ready-to-bake meal that includes non-medicated, free run, Fraser Valley 12-pound (minimum) turkey already tied and seasoned with Italian sausage stuffing, mashed potato, roasted seasonal veggies, cranberry sauce, and gravy. This $165 meal feeds 8-10 people. If you order by the 11th, you will received 10% off! Dec. 18th is the deadline for all other orders. Pick-up can happen between Dec. 20-24. Please note their hours: Mon-Sat 11-6, Sun 11-5, and Christmas Eve 11-4. Whole Foods is there for you whether you need meals with all the trimmings that serve 4 or 8, or classic side dishes to complete your meal. Their meals are centred around traditional turkey, pork loin, roast lamb, or ham, and they even have vegan or gluten free options! Take a browse through their extensive holiday options. You can order either online or in person (ask for the Holiday Solutions table). Call the store for order deadlines as they are inventory based, and order at least 48 hours in advance. You can pick-up at anytime, until 7pm on Christmas Eve, and they are closed Christmas day.